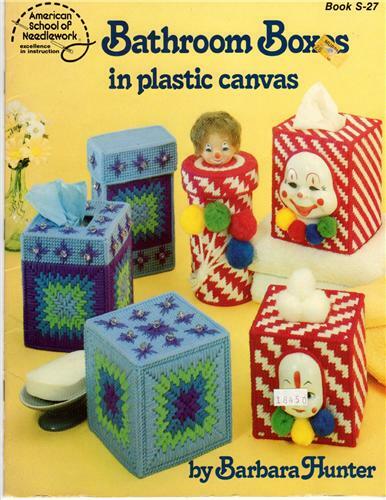 American School of Needlework Bathroom Boxes in Plastic Canvas plastic canvas pattern booklet. Barbara Hunter. Clown Set, Springtime Set, Bargello Set, Christmas Set. Appears to be in new to like-new condition. Price tag on cover. Some folding of lower corners and shelf wear along bottom edge.